Currently, we are facing many crisis’ in the world and wouldn't it be nice to have a super-human strength caveman who pulls various objects from his body to save the day…!? !As he goes on mystery adventures with the three Teen Angels (a parody of Charlie’s Angles) Cavey is often the rescuer. In my opinion someone needs to rescue this country from the militarized direction it is heading in and the falling dollar. 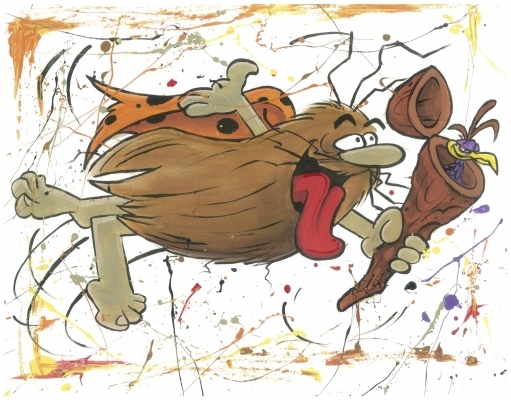 In the cartoon, there were many political references, but Captain Caveman usually hinted toward the gasoline shortages of the 1970s, the energy crisis. I love resurrecting cartoon characters.